Who is the Fastest Basketball Player in The NBA? Russell Westbrook and John Wall are two of the fastest basketball players of all time. But there are some exceptional cases as well where players from other positions found themselves in the list of Fastest Basketball Player in hoops, in particular making our “short list” here at MyBasketBallSkills.com. In fact, there are so many players who have the ability to be the fastest player in the history of Basketball and I am sure this post is going to stir up some arguments, no different than a post about the GOAT stirs up. Names like John Wall, LeBron James, Russel Westbrook and Derrick Rose are always sitting atop the list when choosing the fastest and most agile player in the NBA. Well, keeping in mind his performance and people’s choice in mind. 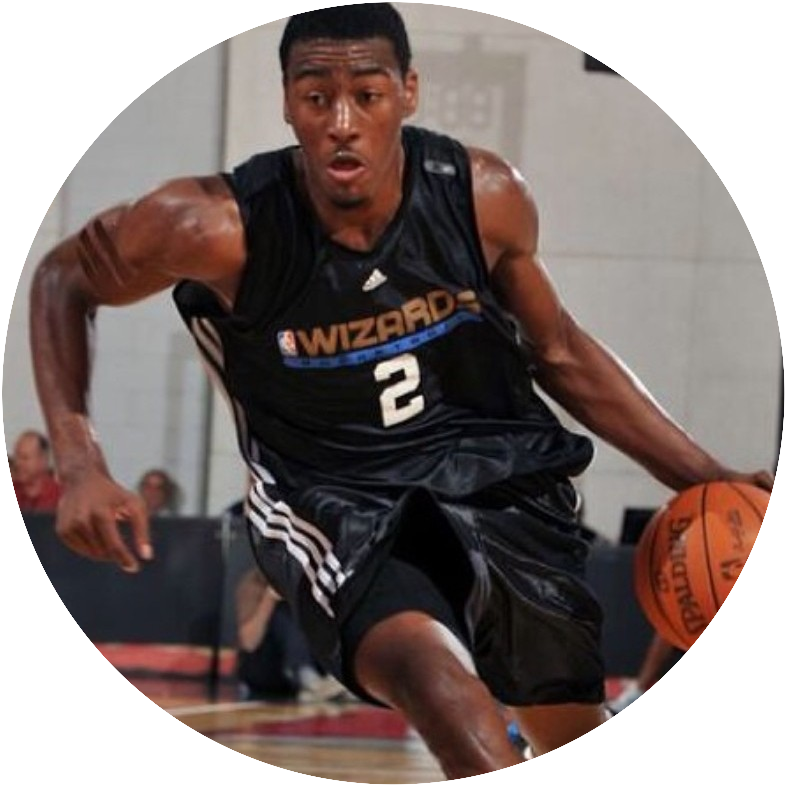 John Wall is probably the Fastest Basketball Player in The NBA who has ever played in the game. His speed and agility are matchless. There are players who can come close to him like Westbrook but at the end of the day John Wall is probably the fastest player in the NBA. One of the strongest weapons in John Wall’s arsenal is his speed. There is no question that the aggression that he brings to the game is remarkable and unmatchable. That is what makes him a dangerous player in the game. He is a player full of athleticism and lateral agility. Russell Westbrook. He is no just lightening quick, but an incredible shooter, passer and all round MVP style player. Player with his speed remind me of others like Leondro Barbosa, who was one of the fastest players of all time but he lacked the shooting and finishing skills to really match up with my top 4 faster players. Of the fastest players in the league, Westbrook has the most diverse set of tools not to mention the most recognized sense of style in the league. #3. Derrick Rose. Injuries Can Only Slow Him Down. Well, next in the list is the Derrick Rose of Cleveland Cavs. There is no doubt that whenever there is a discussion of speed in the NBA his name will definitely be there to be discussed. Before tearing his ACL, he was a clear candidate for the fastest player in the NBA. A lot of players only have straight-line speed but Derrick Rose is not limited to this ability only. He has more skills to offer on the court that what makes him a unique player. His agility and lateral strengths make him a brilliant player on the field. He is an efficient and skillful player with so much to offer to the game. His commitment and passion for the game is priceless as he is dedicated to every single game he plays. His never-ending stamina and will to never get tired is truly unbelievable. He knows exactly how to maintain his speed and stamina to play efficiently. #4. LeBron James, Worth a Mention. Well, this man has been considered to be the fastest player in the NBA history. His elite speed and lateral quickness are really incredible. What makes this 6’8’’ a unique asset to the team is his speed. He gets into the top gear right from the start. Most players start from gear one and two and then get into the top gear but this isn’t the case with LeBron James. He gets into his top gear whenever he wants too. He gets into the top gear right from the start and he is a speedster with some incredible skills. Well, he is considered to be a prodigy when it comes to speed. Most players are no match for him as his speed and agility are on a different level. Matching his speed and stamina is no joke at all. The likes of Dwayne Wade seem to be behind his speed too. He is an outstanding player and his speed is his main weapon. LeBron James speed and agility when combined can produce astonishing results for the team. So, what do you think of the fastest player in the NBA? Lebron, Westbrook, Rose, Wall….or someone else? I would love to hear your feedbac and if you have a player you would like to add to mix, feel free to do so (out of all current players in the league). © 2019 Basketball Skills and Drills. All rights reserved.